Come celebrate our graduating 6th graders as they enter into our Redemption youth ministry. 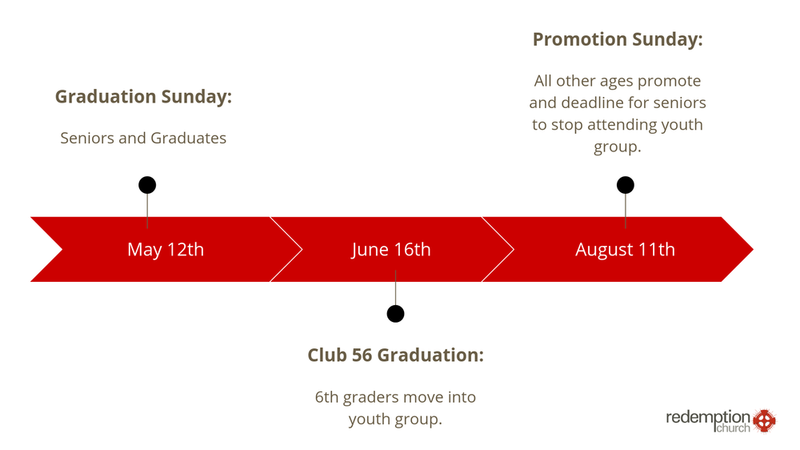 June 16th, is when we celebrate our new 7th graders, and invite them to join all youth ministry related activities. If you have a graduating 6th grader, please click the button below to register your student for this ceremony.